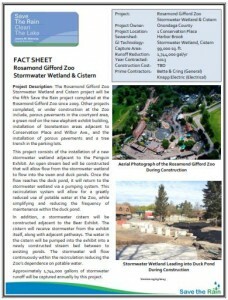 The Rosamond Gifford Zoo Stormwater Wetland and Cistern project was the fifth Save the Rain project completed at the Rosamond Gifford Zoo since 2009. 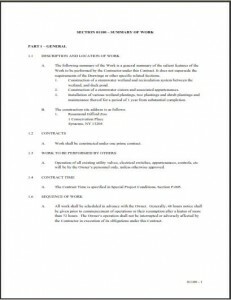 Other projects at the Zoo include porous pavements in the courtyard area, a green roof on the new elephant exhibit building, installation of bioretention areas adjacent to Conservation Place and Wilbur Avenue, and the installation of porous pavements and a tree trench in the parking lots. 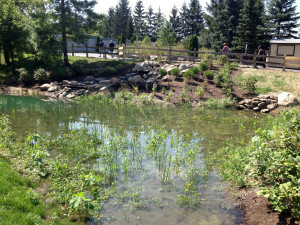 This project consisted of the installation of a new stormwater wetland adjacent to the Penguin Exhibit. 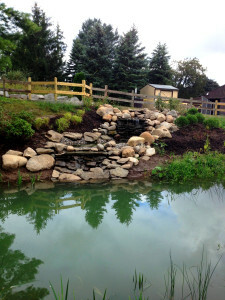 An open stream bed was constructed to allow flow from the stormwater wetland to flow into the swan and duck ponds. 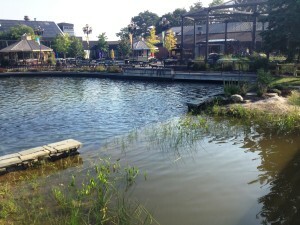 Once the flow reaches the duck pond, it returns to the stormwater wetland via a pumping system. This recirculation system allows for a greatly reduced use of potable water at the Zoo, while simplifying and reducing the frequency of maintenance within the duck pond. In addition, a stormwater cistern was constructed adjacent to the Bear Exhibit. The cistern receives stormwater from the exhibit itself, along with adjacent pathways. 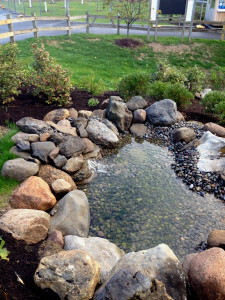 The water in the cistern is pumped into the exhibit in a newly constructed stream bed between to existing ponds. 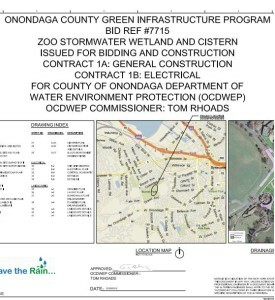 The stormwater flows continuously within the recirculation, reducing the Zoo’s dependence on potable water. 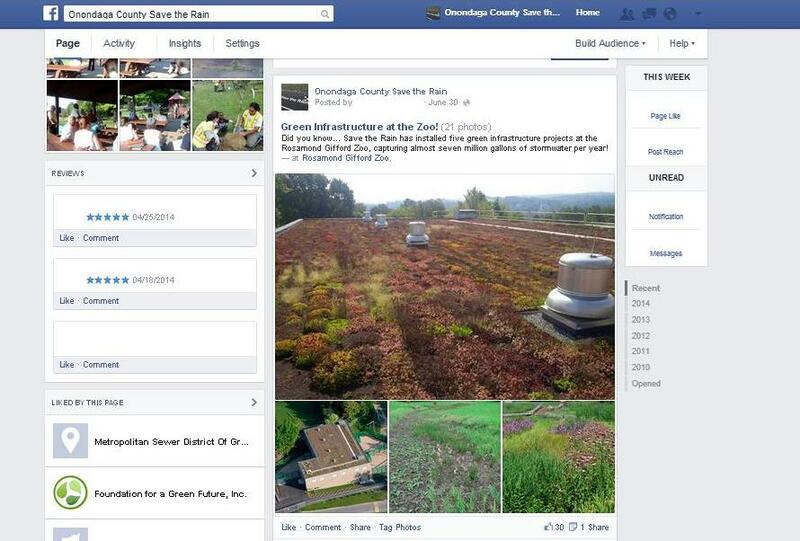 In total, approximately 1,744,000 gallons of stormwater is captured annually by this project.